Authors use symbolism in literature to convey ideas in creative ways. In fact, symbolism is one of the literary devices that differentiates fiction from expository writing. This article will help you understand the form and function of symbolism in literature. 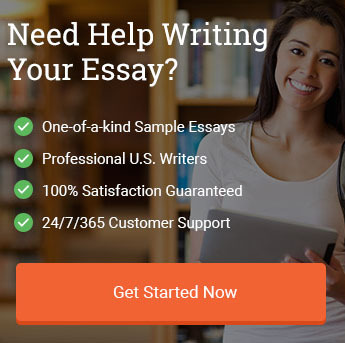 If you were asked to write an essay about symbolism in a specific work of literature, this article will help you to organize your thoughts and write a more cohesive academic paper. Symbolism is by definition abstract and representational. A symbol is something that stands for something else. The opposite of symbolism is literalism: which means that you can take the writer’s words at face value. “Sometimes a spade is just a spade,” except when a spade symbolizes an overarching concept like death. Authors use symbols in their works of literature to create dramatic tension that lasts throughout the duration of the novel or short story. Just as a picture can tell a thousand words, a symbol can also convey multiple layers of meaning. Once you get the hang of what symbolism is in literature and how to recognize symbols when you read, you will find it a lot easier to write essays that are about symbolism in literature. The best way to understand symbolism in literature is by using specific examples. Many of the following are famous works of literature you will be asked to read and write about, especially because of the use of symbolism to convey the main themes or characterization. Some of the most common types of symbols used in literature include colors, weather/seasons, and numbers. For example, the color red may represent anger or intense physical energy. Winter may symbolize death and mourning. The number 12 could be used to symbolize the twelve apostles. The short story “The Lottery” by Shirley Jackson uses symbolism to convey the main themes. Symbolism can be even more important in short stories like “The Lottery” than in longer format works like novels. For example, in Jackson’s story, the title event “The Lottery” symbolizes the arbitrary nature of the system used to select an individual who will die during an annual ritual. A lottery is a system in which people are chosen at random, which eliminates rational thought and free will. Therefore, a lottery system is in some ways dehumanizing, as it removes the possibility for people to make choices based on rational thought. Another symbol in “The Lottery” is the mysterious “black wooden box” that holds the names of the villagers. The narrator of “The Lottery” talks about how the box has a legendary beginning and “had been constructed when the first people settled down to make a village here.” The villagers have been unwilling to replace the box with something new even though it is old and “splintered badly.” Therefore, the black box symbolizes the unwillingness to change. The black box represents being stuck in the past, which is one of the main themes of Jackson’s short story. 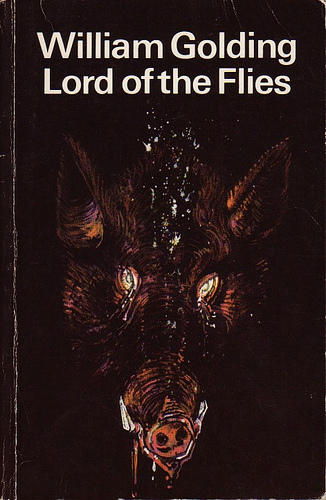 Lord of the Flies is a novel by William Golding. The story itself is poignant, made even more powerful by the symbolism Golding uses throughout the novel. For example, the title of the novel refers to a totemic animal head that, because it is decaying flesh, attracts flies. Therefore, the “Lord of the Flies” symbolizes the decay of human society. The animal head also serves as a symbolic reminder of the way human beings create false gods. Another symbol in Golding’s Lord of the Flies novel is the conch shell. The conch shell is used at first to facilitate the group meetings. Anyone who holds the shell is empowered with the ability to speak in front of the group and given the floor to do so. Therefore, the conch shell symbolizes sophisticated civil society. When the shell breaks towards the end of the novel, this also serves as a potent symbol of the downfall of the society the boys tried to create in Lord of the Flies. 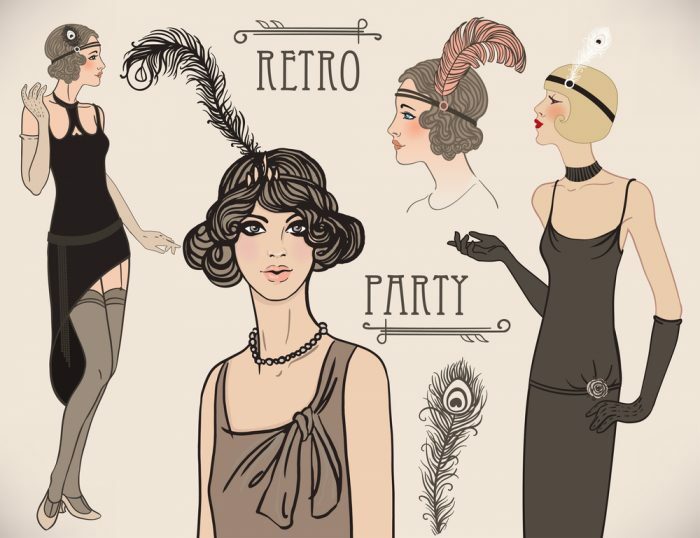 Another novel you may be asked to write about is F. Scott Fitzgerald’s The Great Gatsby. A novel about the American Dream and the illusion of happiness that material wealth promises, The Great Gatsby is generally straightforward. However, the symbols Fitzgerald uses in the novel, like the “valley of ashes” are essential in conveying the main themes related to urbanization and the industrial revolution. The “valley of ashes” symbolizes a sort of graveyard of industry, and exists in sharp contrast to the moneyed areas of Long Island depicted in the novel like East Egg and West Egg. Even the names in the novel, like those of the towns East Egg and West Egg, symbolize the hope for the future. An egg symbolizes the birth of the next generation, encapsulating new life and dreams that have yet to hatch. Yet in order to truly come to fruition, hopes and dreams need to be nurtured with genuine hard work. Nick, the protagonist of The Great Gatsby, learns that the wealth that people like the “great” Jay Gatsby amass is largely superficial. Therefore, the term “great” is an ironic symbol of the shallowness of the American Dream; Nick learns there is nothing “great” about Jay Gatsby at all. Another symbol Fitzgerald embeds in The Great Gatsby is a green light. The green light has a literal function in the story: it “burns all night” on Daisy’s dock (Fitzgerald 99). Green lights symbolize action, growth, and moving forward as in traffic. Likewise, the color green symbolizes material wealth and the American dollar, which are important motifs in The Great Gatsby. The short story “The Yellow Wallpaper” by Charlotte Perkins Gilman is about a woman whose husband essentially traps her in a children’s nursery room with the titular yellow wallpaper. The room and the yellow wallpaper are the most obvious symbols in the short story. The narrator’s husband forces her to remain in the room with the yellow wallpaper until she slowly loses her mind. Instead of being able to focus on her creative pursuits and being in the world, the woman in the short story must stare only at the yellow wallpaper. She does not go outside; the wallpaper is all she sees and so she starts to hallucinate. Being trapped in a child’s room symbolizes the way men treat women like children, and the fact that women are considered alongside children as second-class citizens that need protection. The husband is threatened by his wife’s power, which is why he refuses to let her write. Therefore, writing is also a powerful symbol in Gilman’s story. Writing is a form of self empowerment. As the saying goes, “the pen is mightier than the sword.” The woman longs to express herself and to find her voice through her writing and journaling but her husband imprisons her instead, forbidding her to express her power through writing. Symbolism plays a major role in Nathaniel Hawthorne’s short story “Young Goodman Brown.” The wife’s name Faith, for example, symbolizes the virtue of faith in Christian society—especially in the Puritan society Hawthorne depicts in “Young Goodman Brown.” Because Goodman Brown comes to question his wife’s faith, as well as his own, Faith’s name serves as one of the main symbols of the short story. Another powerful symbol in the short story “Young Goodman Brown” is the forest. Especially within the Puritan Christian worldview, the forest represents paganism, evil, the unknown, and the temptations of the devil. The forest is the antithesis of civilization: it is unbridled nature as opposed to an organized human society. When Goodman Brown walks through the forest at first, he meets a man with a walking stick carved “with what seemed the serpent’s tail,” (Hawthorne 29). A serpent is a symbol of the devil in Christian iconography, which is how Hawthorne links the traveler in the story with the temptations of the devil. The traveler offers Goodman Brown the stick, but the title character refuses: a symbol of his willingness to resist temptation to remain true to his faith—both his faith in Christianity and Faith, his wife. The fact that Goodman Brown encounters the symbolic serpent in the forest also symbolizes the Biblical story of the Garden in which Adam and Eve are tempted by the devil in the form of a serpent. The devil tempts Adam and Eve to eat from the tree of knowledge, and doing so leads to the downfall of humanity and the original sin. Goodman Brown and Faith become symbols of the first man and woman in the Bible. Symbolism also serves a literary function in Ernest Hemingway’s short story “Hills Like White Elephants.” The story is in fact almost all symbolic, with the title referring to the “long and white hills” of the Ebro valley, which the girl describes as “white elephants,” (Hemingway 1). From the very first line in Hemingway’s short story, the reader realizes that the “long and white” hills also symbolize the phallus—male sexuality. The “white elephants” also symbolizes a massive issue that the man and woman in the story are too afraid to address directly. Throughout the story, Hemingway builds tension between the man and woman because they awkwardly skirt around something they will not mention directly at all—the symbolic white elephant. In this short story, the white elephant most likely symbolizes the woman’s pregnancy. As the “hills like white elephants” are in the distance, they represent the possible futures for the couple if they decide to have or not to have the baby. The man seems to want the girl to have an abortion: “I think it’s the best thing to do. But I don’t want you to do it if you don’t really want to,” says the man (Hemingway 2). The only cue the reader has for understanding what the couple talks about is the symbolism Hemingway builds into the short story. When the girl states at the end, “I feel fine,” the reader knows that she has merely pushed aside the issue of their future together as a couple. Symbolism can be used to explain difficult concepts in language ordinary people can understand. Philosophers often use symbols and metaphors to help their audience understand abstract concepts. Symbols are relatable to most readers, helping them to see what the philosopher is trying to say. One of the best examples of symbolism in philosophy is the allegory of the cave in Plato’s Republic. An allegory is a brief, symbolic story. In Plato’s Republic, an allegory is used to describe Plato’s theory of the nature of reality. The cave symbolizes ignorance and narrow-mindedness. Plato suggests that human beings live as if in a cave that is cut off from the reality outside. A cave also symbolizes primitive human life: the era of the cavemen. When the sun shines, it creates shadows on the wall of the cave. These shadows are projections of reality, but the human beings mistake those shadows for reality. Plato wants his audience to understand that what we mistakenly believe to be real is often just a shadow of the truth. Also known as Plato’s theory of forms, the allegory of the cave shows the difference between the essential Form of a thing and its shadow. Human beings are quick to judge based on their limited viewpoint, dwelling in the confines of the cave. As soon as a person is willing to step outside the comfort zone of the cave, he or she can see the true Forms—Reality. Stepping outside the cave symbolizes a human being’s awakening to Reason. In Edgar Allen Poe’s “The Cask of Amontillado,” the author uses symbolism to explore the darker recesses of the human mind. The story is about revenge; the narrator lets the reader know his intent to kill the ironically named Fortunato. Fortunato’s weakness, his Achilles Heel, is good wine. Knowing this, the narrator chooses to lure Fortunato into a wine cellar in order to murder him. A wine cellar itself symbolizes a grave, as it is located underground. In fact, the wine cellars in “The Cask of Amontillado” are located in actual catacombs: the “catacombs of the Montresors.” Catacombs are mass graves, underscoring the narrator’s intent to kill Fortunato. The titular cask of Amontillado symbolizes wealth and gustatory pleasure. Montresor knows that Fortunato will not be able to resist the opportunity to sample one of the world’s best sherries, and thus the cask symbolizes human weakness, greed, and gluttony. Known more for the film adaptation, L. Frank Baum’s novel The Wonderful Wizard of Oz is replete with symbolism. One of the reasons why the book translated so well onto the big screen is that it contains so many visual elements and symbols. Witches symbolize power—which can be used for good or evil according to the will of the person. Thus, we have both the Wicked Witch of the East and the Good Witch of the North. The “silver shoes” that become the ruby slippers in the film adaptation symbolize Dorothy’s being grounded and anchored to her home in Kansas. Even when she is deep into her magical journey to Oz and the Emerald City, the slippers symbolize her ability to return home when she is ready. The titular character, the Wizard of Oz, symbolizes a charlatan. The Wizard cleverly spins a fantasy world and pretends to be godlike and powerful. He has tricked everyone in Oz to believe that he possesses special powers, but towards the end of the novel we learn that true power dwells within. 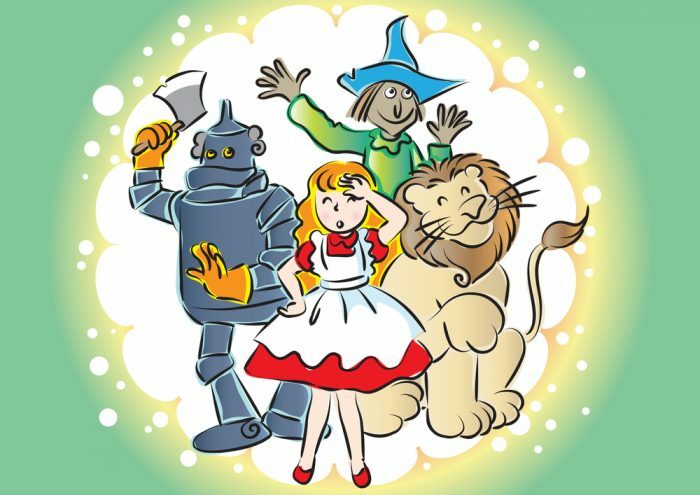 Dorothy always had the power to return home, just as the Scarecrow always had the potential to have brains, the Tin Man had a heart all along, and the Lion already possessed courage. Each of these characters—the Tin Man, the Scarecrow, and the Lion also serve symbolic purposes in The Wonderful Wizard of Oz. The Tennessee Williams play The Glass Menagerie also relies heavily on symbolism. For example, the title of the play refers to the delicate nature of human life and the fragility of human emotions. Laura’s glass menagerie also symbolizes her own frailty—for she is painfully shy and would prefer to remain on a shelf instead of putting herself out into the world. In fact, one of the animals in Laura’s menagerie is a fantasy creature: the unicorn. A unicorn symbolizes a unique creature: a creature that is so special that it may not even exist at all. Laura clings to an unattainable ideal. The unicorn symbolizes the false belief that there is a perfect man out there for her. When Jim breaks the glass unicorn, it symbolizes the shattering of Laura’s dreams. Jim had just kissed Laura and then confesses that he is already engaged. Without its horn, the unicorn is nothing but a horse, which symbolizes ordinary male virility. Symbolism also plays a major role in Ernest Hemingway’s novel The Old Man and the Sea. In The Old Man and the Sea, symbolism is used to convey the theme of man versus nature as Santiago struggles to catch a fish. The act of fishing is itself symbolic of a search for meaning in life. Santiago’s masculinity is also called into question, as he has gone so long without catching a fish that his reputation suffers. For Santiago, catching a fish would prove that he is still a man. When Santiago struggles with the marlin, the fish symbolizes youthful male fertility and virility. Santiago eventually does catch the marlin, but on his way back to land, sharks attack. The sharks symbolize those people—or natural forces—that impede the fulfillment of one’s dreams. Sharks are opportunistic pack hunters that are difficult to evade. Santiago caught the fish—but as the sharks devoured it—he has nothing to bring home and nothing to show to prove that he still has the ability to catch. The sea symbolizes life and death; the inevitable passing of time and the fleeting nature of youth. One of the most enduring stories of all time, Lewis Carroll’s Alice’s Adventures in Wonderland is a treasure trove of symbolism. The story follows Alice, a girl who falls down a rabbit hole and enters a curious world filled with magical creatures, each of which serves a symbolic function. For example, the white rabbit that initially lures Alice symbolizes something to chase after. Alice chases the white rabbit down the rabbit hole—which symbolizes the entering of an alternative reality. The caterpillar smokes a hookah pipe, which symbolizes mind-altering substances like cannabis, while magic mushrooms also symbolize the potential of psychedelic experiences to transform Alice’s perspective on life. 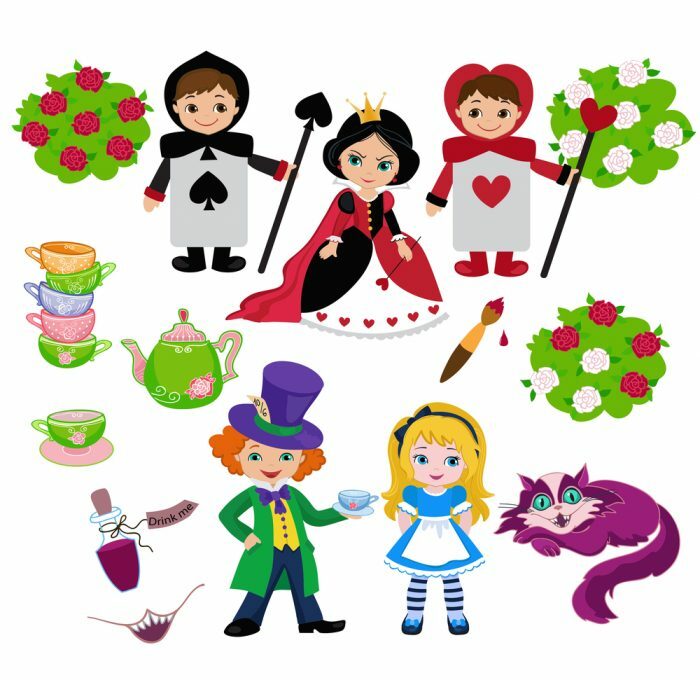 The tea party, the croquet, and the Queen of Hearts all symbolize elements of formal society, law, and order. Alice herself symbolizes the innocence of youth, for the protagonist remains fearless in the face of the most peculiar of creatures and even the wrath of the erratic Queen of Hearts. In Eudora Welty’s short story “A Worn Path,” symbols like the woods and wild animals symbolize obstacles that come in the way of a fulfilling life. The title refers to a path that leads through the woods, a symbol of chaos, darkness, and danger. Yet Phoenix must traverse the path and go through the woods in order to master key life lessons. Throughout the short story, symbols like thorns and a dog represent fear and danger. Phoenix must teach herself how to navigate the path successfully in spite of the obstacles she encounters. Each of the obstacles is presented symbolically in Welty’s short story. The symbols stand in for the actual obstacles a southern woman like Phoenix would encounter in real life such as prejudice. Symbolism serves various functions in literature, allowing authors to create complex and multi-layered stories that can be read again and again. When you have been asked to write about symbolism in literature, you have the opportunity to understand better what the author intended. A symbol is much more powerful than a literal description of an emotion or a theme. When you write about symbols in literature, remember that there are no “right” or “wrong” answers. A symbol will mean something different to you than it does to another reader. Likewise, a symbol may not have one absolute meaning but can mean several different things at the same time. For one person, a tree will symbolize strength and growth but to another person, a tree could symbolize the tree of knowledge from the Bible. In fact, one of the reasons why symbolism is one of the most common literary devices is that is allows each reader to form different opinions and to derive personal meaning from the story. Symbolism is what makes literature timeless and enduring. You can revisit a story and discover new implications and meanings from its symbolism. This guide to symbolism in literature includes several common examples of famous works of literature but you may be requested to write about many others in your English composition or literature classes. Next time you have to write about symbolism in literature, consider how the author uses symbols to create strong characters or convey the main themes in the story. "Your Guide to Symbolism in Literature (2019 Edition)." Aceyourpaper.com. Student Network Resources Inc, 25 March. 2019. Web. 19 April 2019. Student Network Resources Inc. "Your Guide to Symbolism in Literature (2019 Edition)." Aceyourpaper.com. 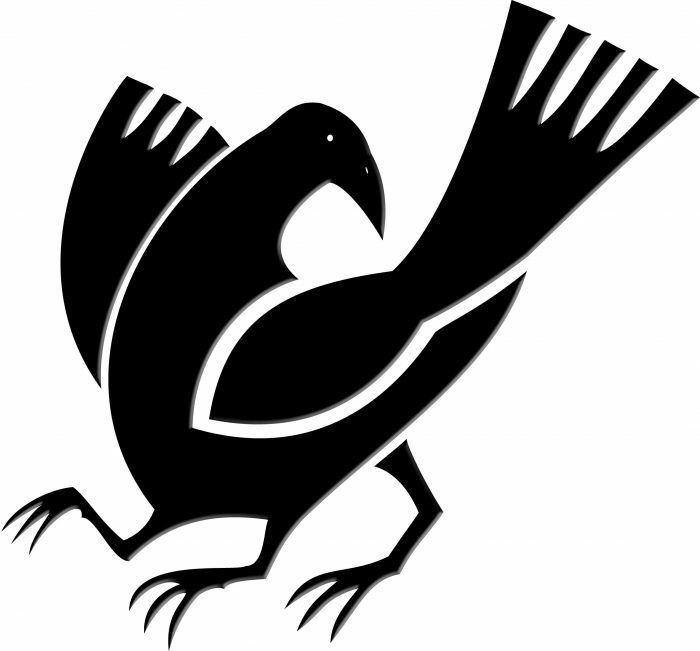 https://www.aceyourpaper.com/essay-writing/symbolism-literature/ (accessed April 19, 2019).